I love fried rice but have never made it before. After pursuing Pinterest for recipies it seemed like it was pretty easy to put together. 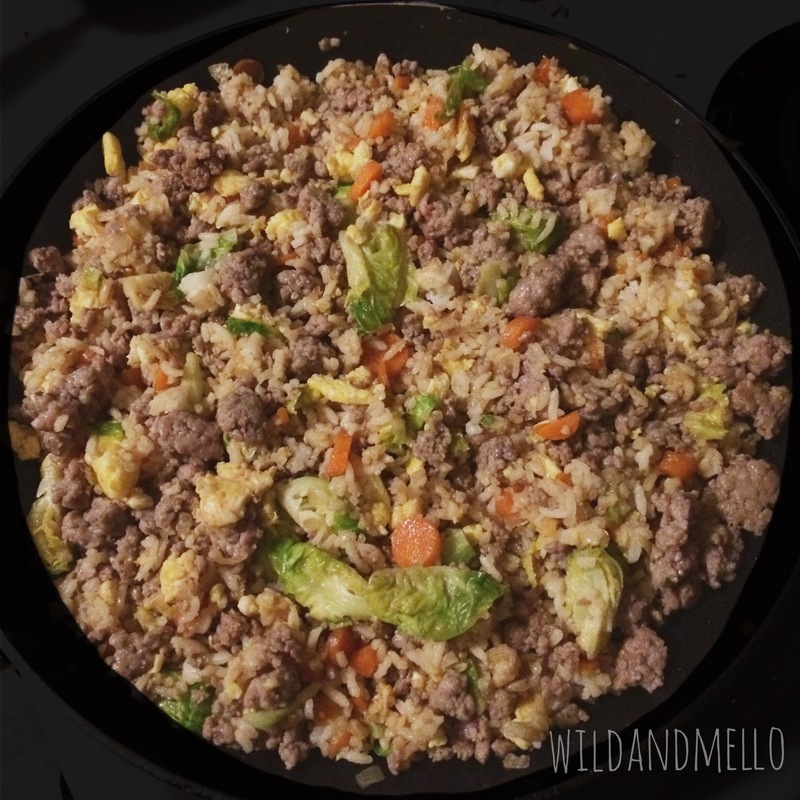 I didn’t have some of the items that were traditional for fried rice so I made my own version, I really liked it but Mike was a little on the fence. I had added freshly minced ginger and it was a bit much for him so I think next time I won’t add as much or not at all (I really like ginger though so I thought it was yummy). I made rice the night before and made sure to make extra so I could use it for the fried rice. You could make a fresh batch of you need to though. I would make 1 cup of rice for this recipe (about 1.5-2 cups cooked). I also only had ground pork, it was from Otto’s on Woodstock and is so good! Every time I use their ground pork for something it turns out so flavorful, I would definitely check them out or find a local place by you. I had a little over a pound and I think it was a bit too much meat so I would suggest only using a half a pound or maybe three quarters of a pound. 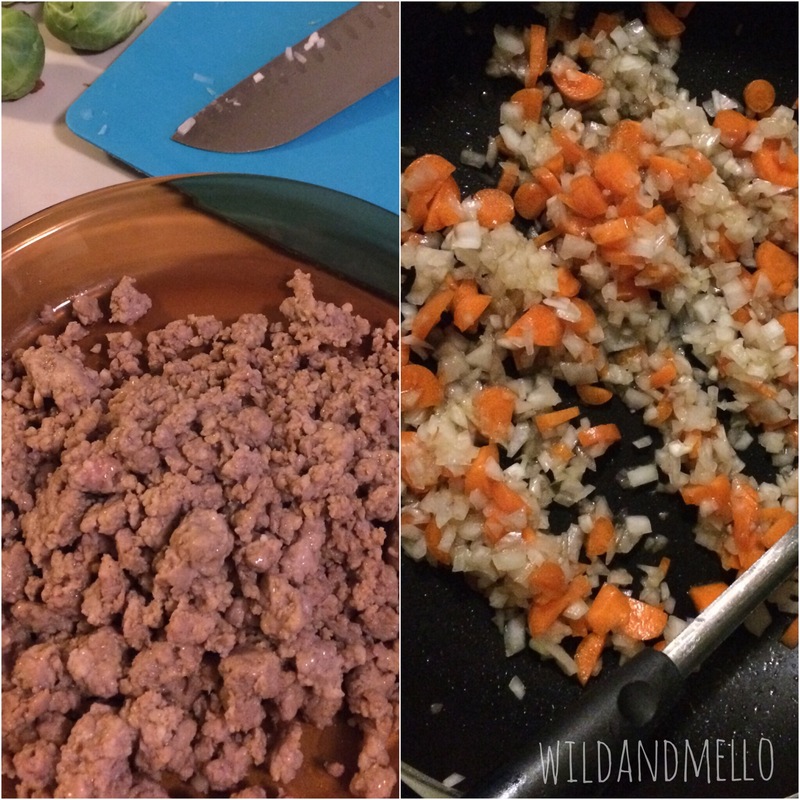 Brown ground pork in large saucepan, sprinkle with 1 tablespoon of soy sauce, add 1 tablespoon of olive oil if needed. Once done remove from pan and set aside, leaving drippings. Add onion, carrots and brussel sprouts to pan, cook over medium heat for about 5 minutes. Add garlic and ginger (if using), let cook for a couple of minutes. Scramble eggs in separate pan or push veggies to the side and scramble in same pan. Add rice to pan and mix all together, add 1 tablespoon soy sauce. Add cooked ground pork and mix all together, taste and if needed add additional soy sauce in 1 tsp increments.